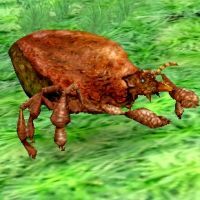 Welcome to SWGCreatures, your #1 Star Wars Galaxies Creature Resource! Here you can find detailed listings of all the creatures in the Star Wars Galaxies Universe! After a long absence SWGCreatures is back online as the #1 Star Wars Galaxies creature resource. Using a combination of original source code provided by Juntao Ta'kor and a variety of sources and means SWGCreatures has been restored back to it's Pre-CU state. With only one surviving backup and much of the original site content altered or lost due to hackers, restoration was challenging but not unsurmountable. Restoration took several weeks and was accomplished by combining SWGEmu open source LUA files, data manually scraped from WayBackMachine.org and whatever viable information could be recovered from the original site backup. Even though all creature data now comes from the SWGEmu project, most of the other SWGCreatures content was recovered including 6100 forum posts, 4200 comments, 4600 sightings, 750 pictures, 3700 Pre-CU DNA samples, the BE DNA Laboratory script and more. Creature Details - All creature data details have been mined from SWGEmu Core 3 project LUA files. Creature IDs - All creatureID values are identical to the original site making it easy to compare with data from WayBackMachine and other sources. Creature Pictures - Restored by combining pictures from the original site backup, WayBackMachine.org snapshots and newly captured images from an SWGEmu Core 3 dev server. Creature Comments - Restored from the original site backup. Creature Sighting - Restored from the original site backup. DNA Samples - Recovered by manually scraping WayBackMachine.org snapshots taken of the orignal site on or before 4/27/2005. DNA Laboratory - Restored from the original source code and fully functional when using Chrome or Firefox. Forum Posts - Restored from the original site backup. Note: The restoration process and removal of malicious script tags has exposed phpBB tags as plain text. Hyperlinks - Updated and annotated with one of the following reference numbers. 1. Link changed to WayBackMachine.org version due to dead link. 2. Link removed due to dead link; WayBackMachine.org version unavailable. Although some of you may be disappointed, I did not restore SWGCreatures to re-establish the great community that made this site what it was. I did it to provide an up to date creature resource for current SWGEmu players and as a Pre-CU historical reference for the SWGEmu community. Like many of you I have a deep passion for SWG and am committed to maintaining and enhancing this site for the benefit of the players and SWGEmu community. In the coming weeks and months you will see several enhancements including an update to advanced search and all new creature pictures. Many of the sites that were created during the original SWG era are now gone and unlike those sites I didn't want that fate to also fall upon SWGCreatures. I hope this site brings back fond memories and provides the SWGEmu community another valuable resource to use in their efforts to restore SWG back to Pre-CU. A special thank you goes to Juntao Ta'kor for sharing his source code and backup data with me, upon which this site is based. Your #1 Star Wars Galaxies Creature Resource!